With proper air duct maintenance, the HVAC system of your home will remain in good condition and work effectively for longer. Besides, the quality of the air in your house will be high at all times. Unfortunately, many homeowners make serious maintenance mistakes which can cost them dearly. Find out what these are and get practical recommendations on how to avoid them. 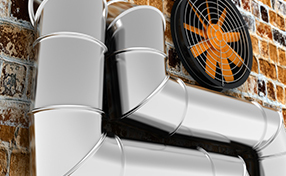 Are You Keeping Ductwork in Good Condition? Failing to provide proper inspection of the ductwork is one of the major mistakes which homeowners make. 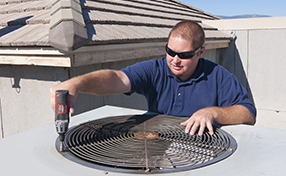 It is crucial that every HVAC maintenance session starts with the inspection of the major system components including the ducts, the vents like grilles and registers, coils and coil drain pans, blowers and their blades and the filters. These components have to be checked for structural damage, dust and dirt accumulation, leaks and water accumulation and mold. Not providing timely air filter replacement is another huge mistake which must be avoided at all costs. 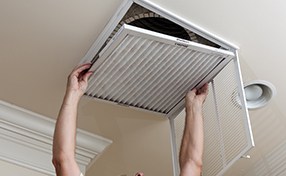 The job of the filters is to keep the air passing through the system clean from dust, dirt and other harmful particles which can cause serious health problems to your family. It is true that air filter cleaning will help to extend the useful life of these units, but when they are heavily clogged with a sticky dirt material, they have to be replaced. This is actually the more cost-efficient option in addition to being the safer one. It is a huge mistake to use a steam cleaner or a wet cloth for the purpose of home air duct cleaning. Many DIY enthusiasts are tempted to do this because they think that the steam or water will provide better sanitization. This is certainly not the case. The great danger comes from the fact that water may remain inside the ducts and cause mold growth, which can cause health problems and which is difficult to remove. For the best maintenance results, you should leave the work to our professionals in Panorama City.